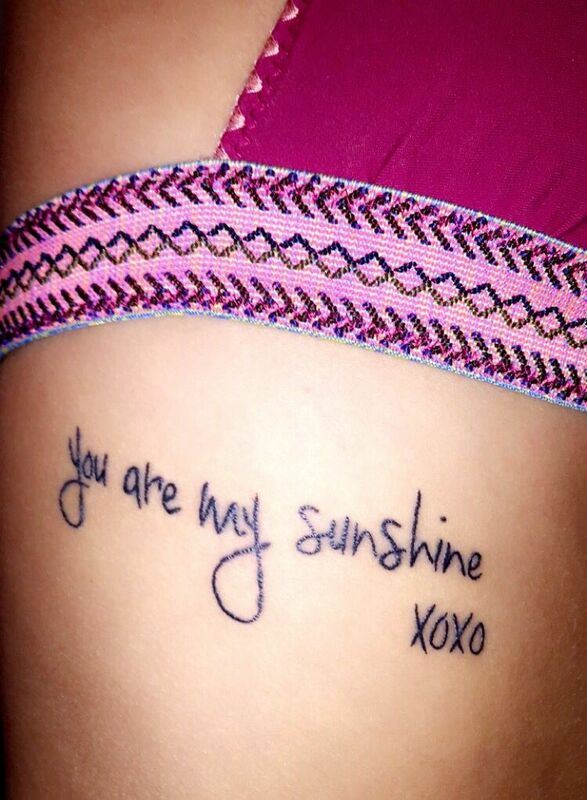 You are my sunshine tattoo is one of the most expressive tattoo. It is a great way of showing that there is someone in your life that you care about and who brings light into your world. 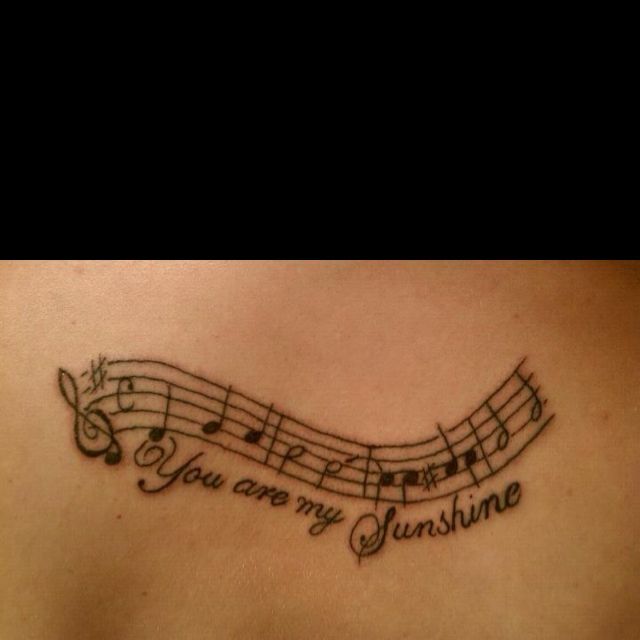 These tattoos are popular since the release of the famous song You’re my sunshine in 1939, this song has been covered by many of the famous singers around the world so almost everyone knows it and loves the song. 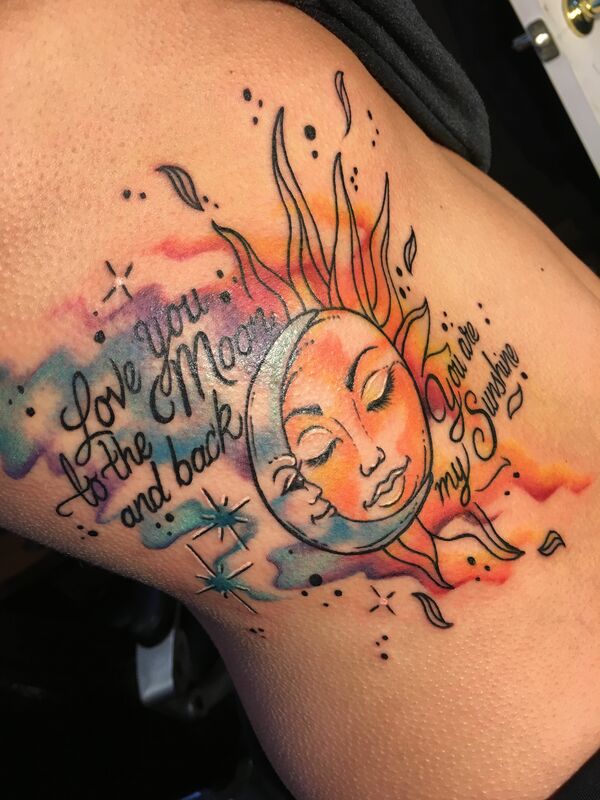 So if you are looking for a tattoo which is both romantic and can be instantly recognized, then go for You are my sunshine tattoo. 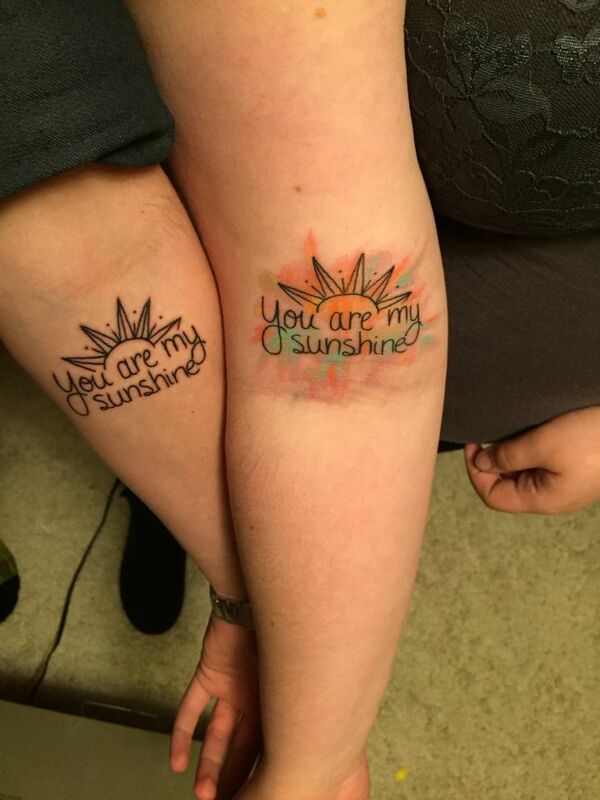 Although most of the people consider this tattoo as romantic tattoo, but this can also be a great friendship tattoo to express your gratitude and love for your friend who’s always been there through thick and thin and has always brought sunshine in your life. 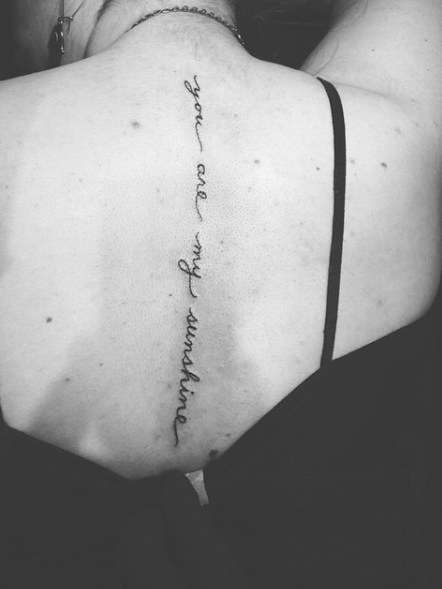 You are my sunshine tattoo design is also very famous as matching tattoos for mothers and daughters, many mothers sung this song to their children so it is already a big part of their relationship. Getting matching tattoo further strengthen their relationship as it expresses how much they mean to each other. 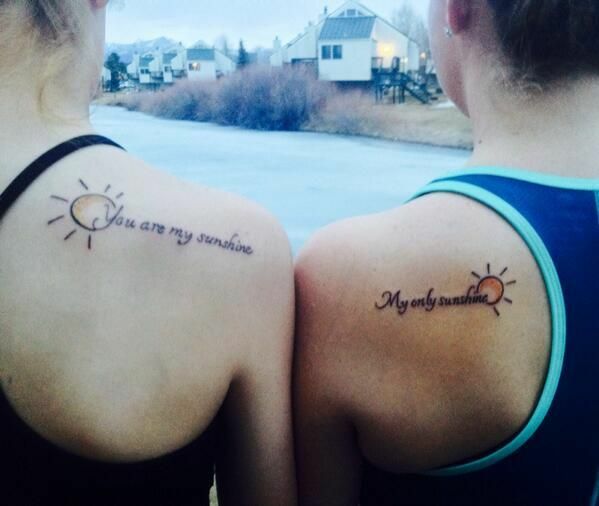 The matching tattoo is not only famous among mothers and daughters, but they are equally if not more loved by couples who are head over heels in love with each other. These love birds get matching tattoos to express their love and faithfulness to each other that only they bring light in their life. 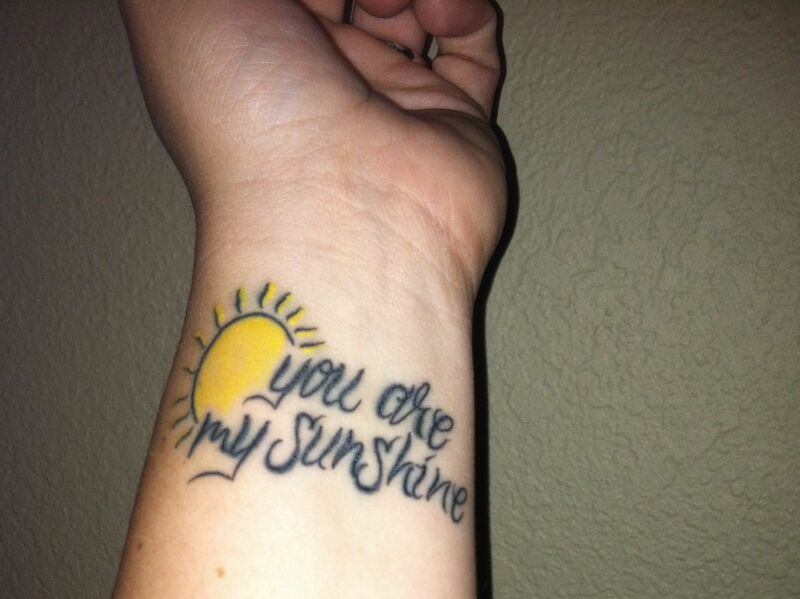 You are my sunshine tattoo is one of the most popular matching tattoo ideas. People like to add many other symbols in their tattoo to make it pop more. 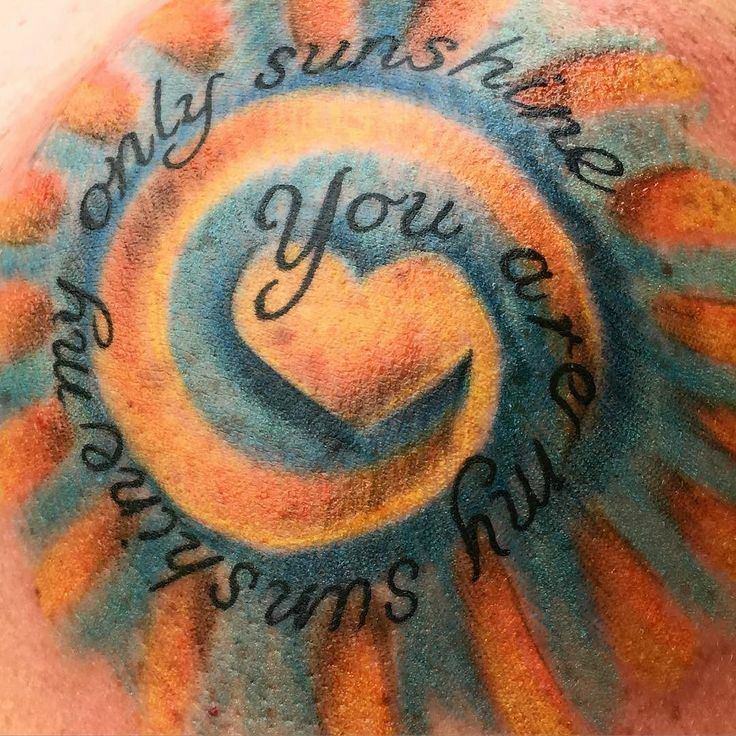 Many people like to add sun in their “You are my sunshine tattoo”, the sun is a simple design which symbolizes light and joy. 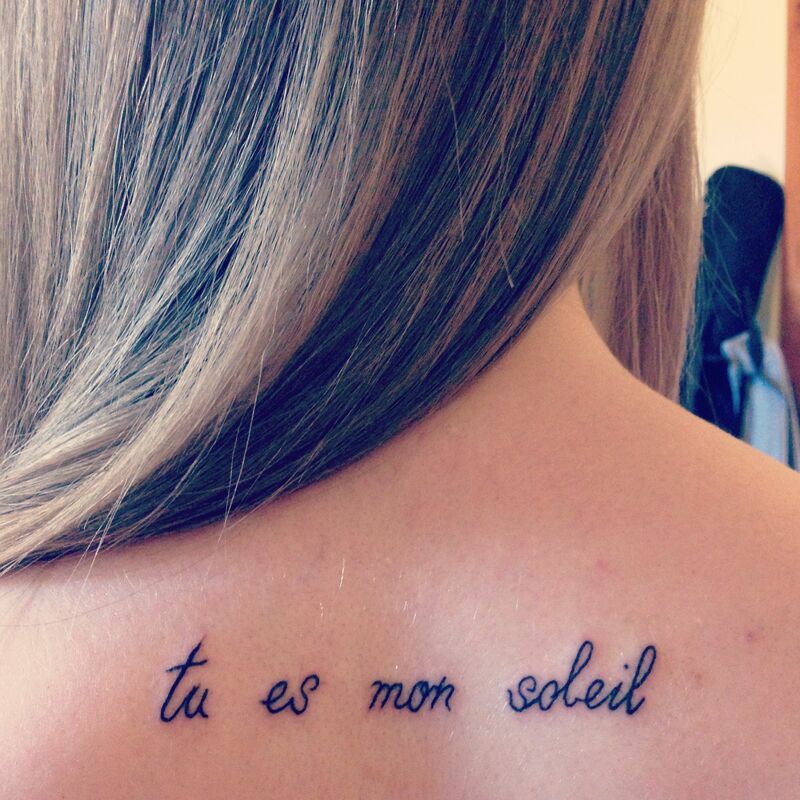 The sun is usually designed in such a way that it sits on the side of text or is integrated into a text. 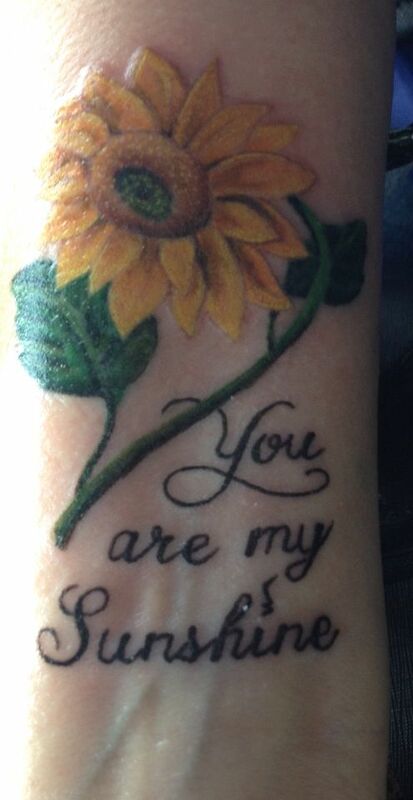 Sunflower is another famous symbolism used in You are my sunshine tattoo. Sunflower not only enhance beauty of the tattoo by adding some pop of color and floral design, but it also signifies deep meaning, such as loyalty, adoration, happiness and good fortune. 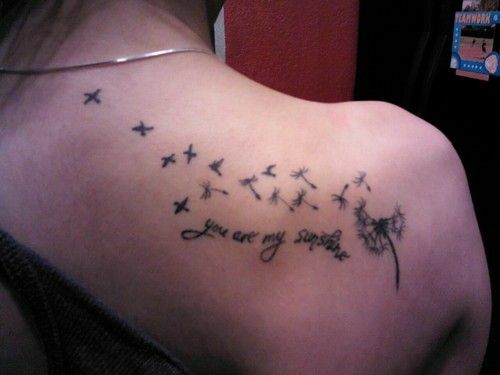 People also like to add Dandelion to just make the tattoo more beautiful, dandelion doesn’t symbolize any thing. 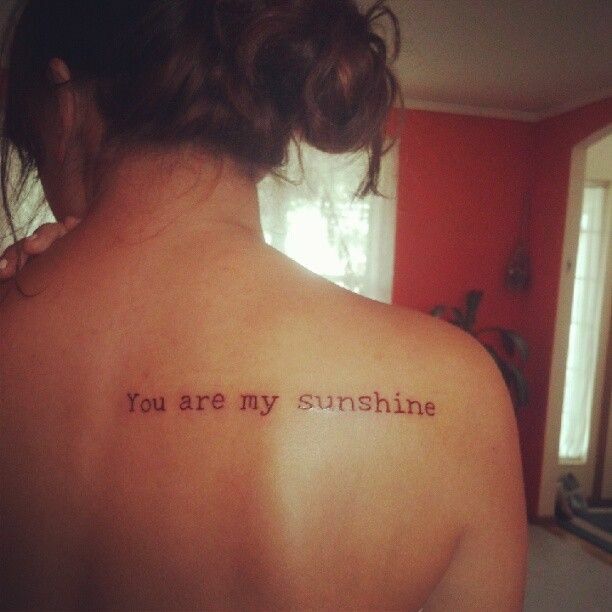 You are my sunshine tattoo is a text tattoo so you need to come up with a font that will make the tattoo look great on the skin. 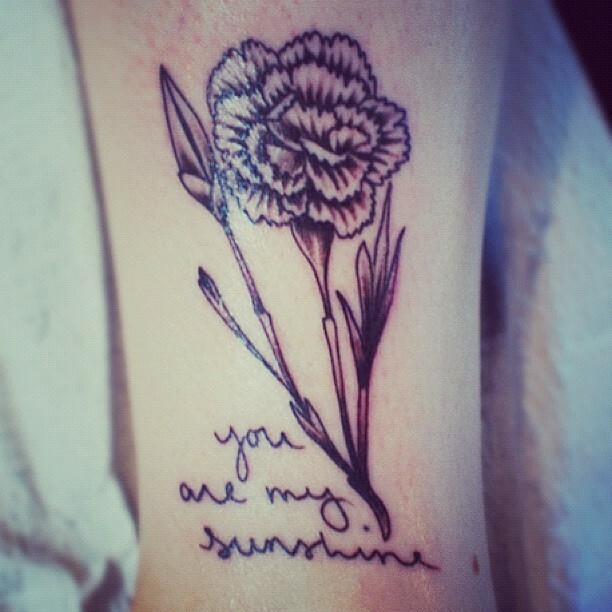 You are my sunshine tattoo can be combined with other tattoo but it looks more beautiful in its own. 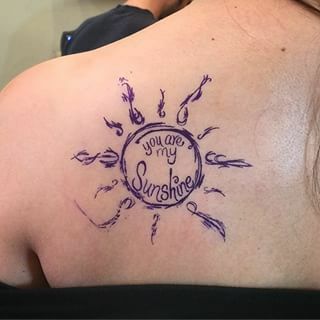 Text tattoos usually look beautiful on long narrow areas of the body, so you are my sunshine tattoo will look gorgeous on parts of the body which are long and lean such as arms, wrist or on ribs. 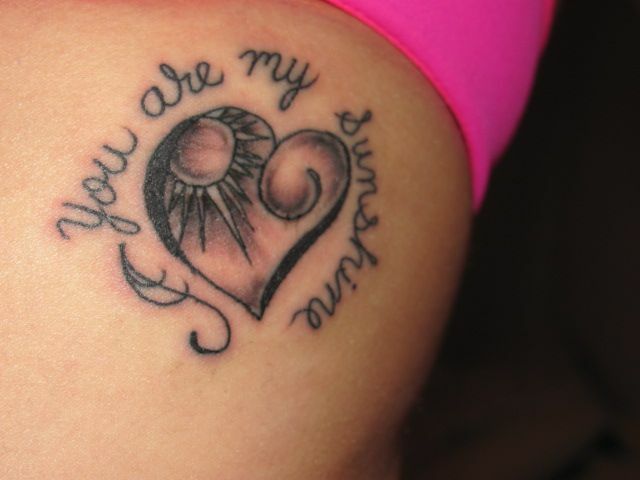 But you can get this tattoo on any part of the body where you think it will pop and make you happy. 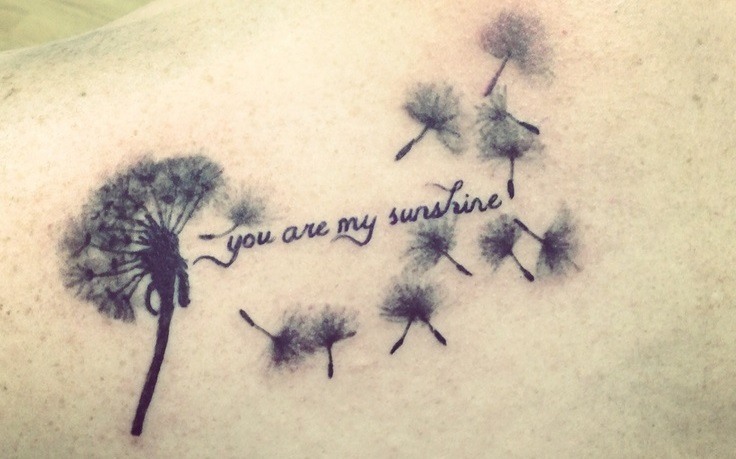 The text tattoos are usually inked with black ink but the symbols such as sun, sunflower and dandelion can be black and white or colorful according to your choice. Sunflower is usually inked with yellow colored ink but to make your tattoo unique you can choose watercolor ink which will make your tattoo more beautiful.